How to Become Successful Really! How do you become successful really? I am asked this a lot, and as you may know I wrote a book on how to become successful a couple of years ago called Success I.A.O. It’s a book on success mindset and what it really takes to achieve success. What you may not know is that I am currently writing a new book on success, and I am interviewing some of the most successful people around the world in their field. I am not just talking about multi millionaires or billionaires (although we certainly have a few included). But people that are really successful in what they do. Some of these interviews are LIVE on YouTube, so I decided to write a post including the links to these videos for you to watch. You will notice many similarities and I urge you to watch all of them, as you will definitely have some AHA and WOW moments from everyone. Here is a list with interviews from successful people. Check them out below! 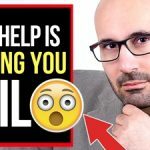 👉How to Use Video Marketing For Success With Owen Video Owen is a video marketing expert that utilizes Facebook and YouTube to drive traffic and help grow your business. he is a public speaker and has incredible advice and insight to share. 👉How to Brand Yourself and Succeed With Andru Edwards Andrew is a tech guru and owns unboxing.com. He became a personal branding expert as well as a public speaker. Andru created himself into a brand and has millions of views online. 👉What it Takes to Be a Successful Singer and Producer With Claydee Claydee is a self made international award winning singer and producer as well as an entrepreneur. With hits in Hollywood, Claydee has incredible advice for any artist or producer wanting to reach new levels. 👉How to Become Successful as a Music Video Director With Sherif Francis Sherif is a self made video director responsible for multiple V.M.A. awards and more. he started from nothing and shares his experience on how you can make it in the video directing world. 👉How to Be a Successful YouTube Channel With Brian G Johnson Brian G Johnson. 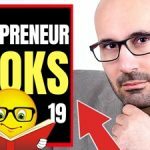 Author of Tube Ritual Volume 1 and Trust Funnel is a YouTube algorithm expert and has a lot to offer on how to grow a YouTube channel and more. 👉How to Become Successful As An Engineer With Panos Gounas, CNC Training Center, Greece Panos is am engineer and owns one of the best CNC training centers in Europe. He entrepreneurial mind combined with an engineers mindset has a lot to offer. 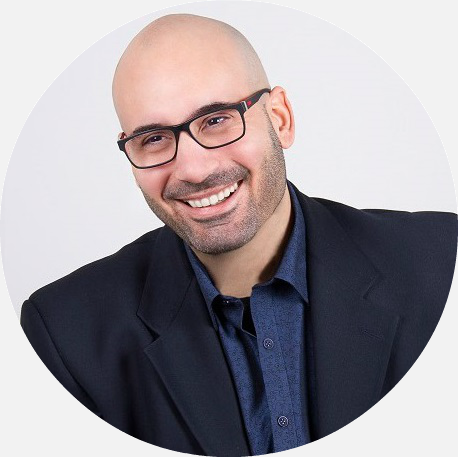 👉How to Become Successful at Affiliate Marketing With Dan Brock, DeadBeat Super Affiliate Dan is one of the best affiliate marketers in the world, known to always wear a robe, and has a YouTube channel that gives you free advice on how to also achieve this. He has great insight and experience. 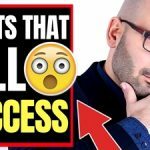 👉How to Become Successful as a YouTuber With Nick Nimmin Nick is has one of the fastest growing YouTube channels and is a YouTube growth expert. He is also a speaker and video consultant. Must watch! 👉How to Become a Master Closer and Successful in Sales With Living Legend Ben Gay III Ben is a living legend sales and more than a master closer. He has worked with legends such as Napoleon Hill and Zig Ziglar and has so much to offer. A must watch video that will elevate you to success. 👉How to Become a Successful Trader With Dan from The Chart Guys Dan has a very successful trading channel on YouTube that teaches technical analysis on traditional stocks as well as cryptocurrencies. He is one of the best out there.